We have many seasonable events and special days in Japan. 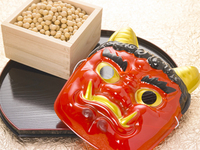 3rd February is 節分(Setsubun) day. 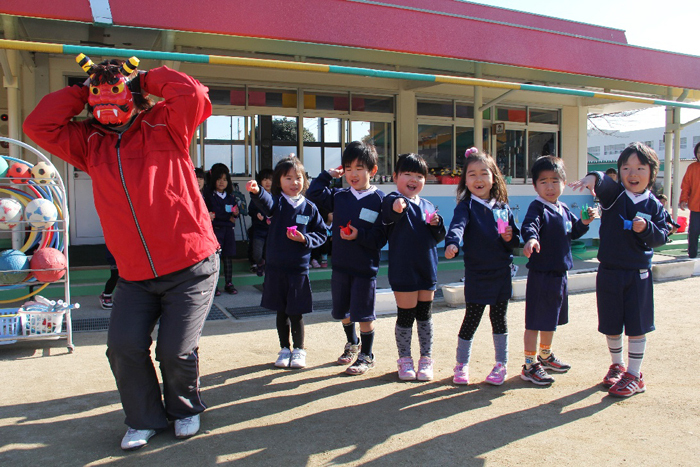 In this day, at some temples, school or home have a big Setsubun event. 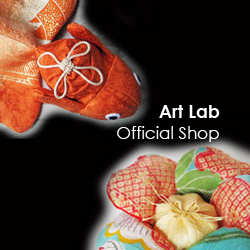 The 節分(Setsubun) is day before beginning of each seasons, spring, summer, autumn and winter. Also Setubun is meaning of dividing of seasons. 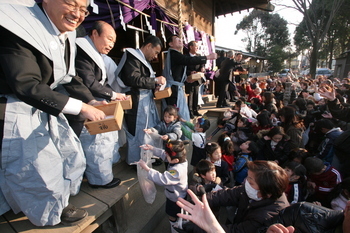 After Edo period, Setsubun event has been had only for spring time. people traditionally believe that malevolence occurs at time of the turning point of the season. For routing the malevolence out , an event to get rid of a demon is held. Thus, people throw away dry soy beans inside and outside of house. Or the throwing of beans implies the clearing away of noxious vapors by striking devil with the beans and making a wish for perfect health during the coming year. Children wear paper devil mask and enjoy playing demon role. Or in the school, teachers disguise devil, and children throw beans to them. Then, people eat beans, which same number of their age, prevents from bad luck and sickness during the coming year. Narita mountain have this big event every year. When I was child, I really enjoyed this traditional event because I could throw many beans anywhere and call loudly. I would like to do with my son in Brunei and Australia! !